Apple announced its successor in iPhone category, iPhone 4S on 04-Oct-2011by CEO Tim Cook. The phone looks same as its previous version, iPhone 4. 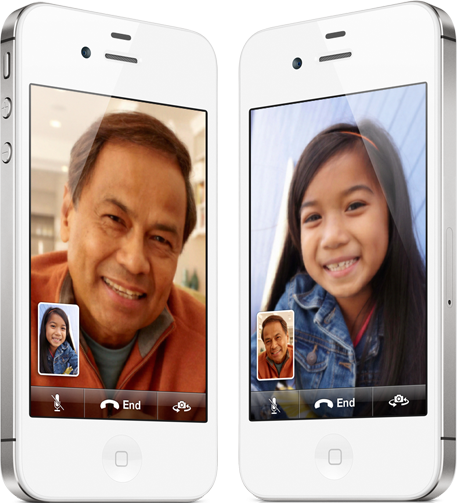 The iPhone 4S have improved camera with 8MP, battery life, powered by Apple's A5 processor, intelligent assistant - Siri, advanced OS - iOS 5, Cloud storage - iCloud. Without 2yrs contract : $649, $749, $849 for 16 GB, 32GB, 64 GB respectively. Will be available from 8 AM (EST) October 14th with Verizon, AT&T, Sprint. Pre-order from October 7th, call: 1-800-MY-APPLE. Update: Apple releasing iPhone 4S in India from 25th November (24 Midnight) through Airtel and Aircel. The prices of the iPhones 4S are high compared to other countries. Tags: Apple iPhone 4s technical specifications, iPhone 4s Vs iPhone 4, Apple A5 chip, Apple iPhone 4s price, Apple iPhone 4S in India, India release date, FaceTime, iCloud, iOS 5, Apple.com, Mobile Phones, Stuff, Mobile downloads, Wallpapers downloads, latest technology news, Gadgets, Apple Gadgets, iPhone price without contract, Apple iPhone 4S India, release. 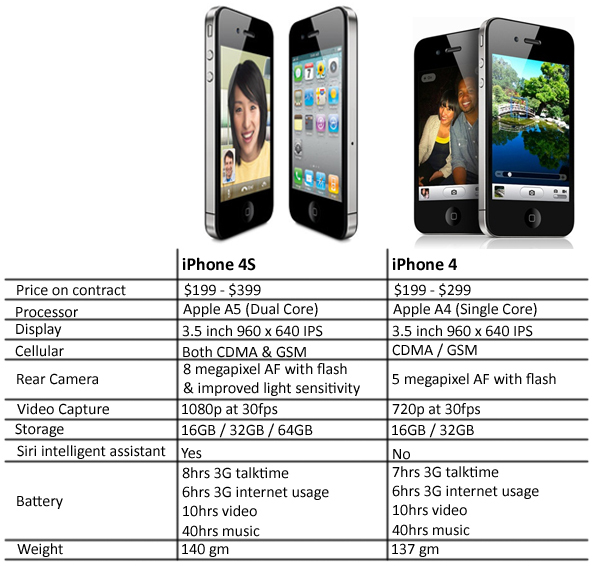 I Personal pick iPhone 4s!